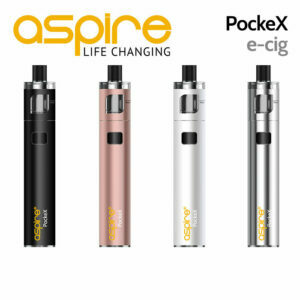 900mAh lipo battery and replaceable pods which house both the atomiser and e-liquid. 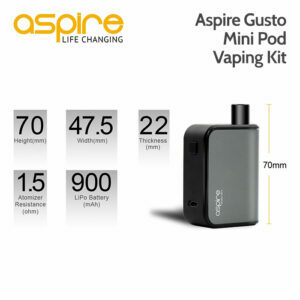 The body is only 6cm high, so it fits the palm of your hand. 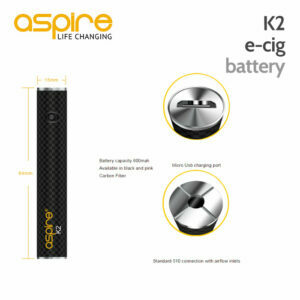 K3 battery – 1200 mAh, carbon fibre, micro USB charging. 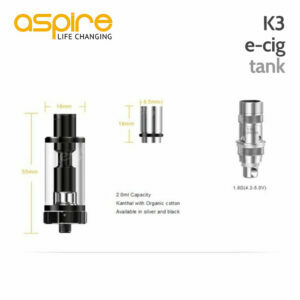 K3 tank is 2ml, organic cotton and 1.8 Ohm atomiser. 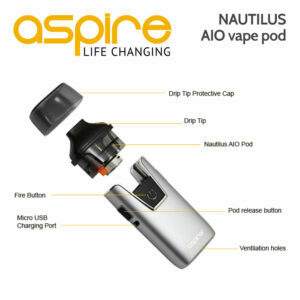 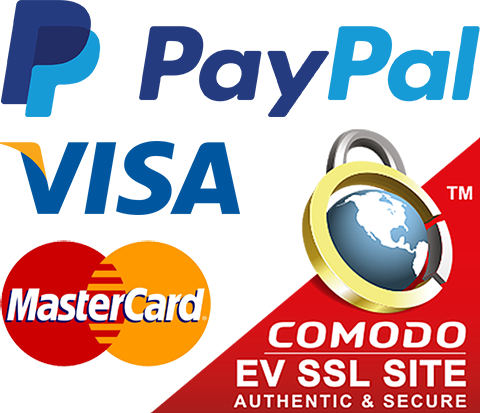 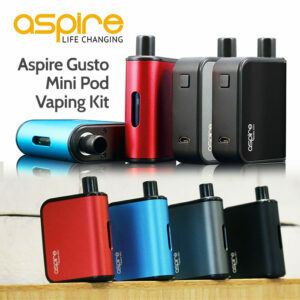 The Aspire Nautilus AIO sleek, ergonomic, palm sized design fits well into pocket or purse. 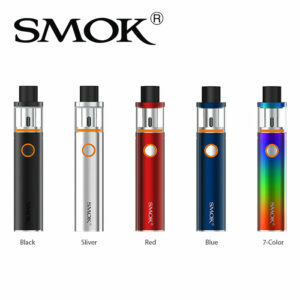 1000mAh built-in battery. 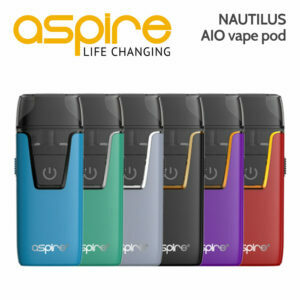 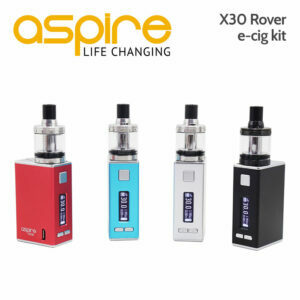 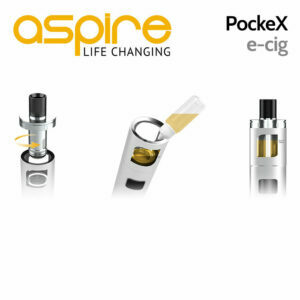 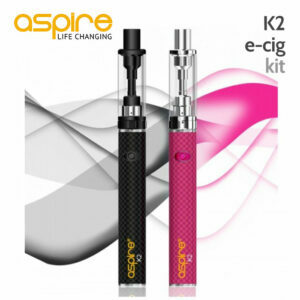 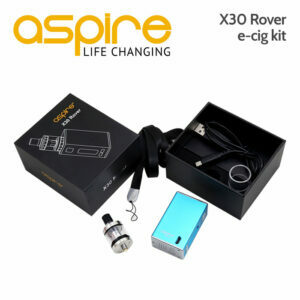 Aspire 2ml Nautilus X Tank with top-fill and adjustable airflow and the compact Aspire NX30 battery. 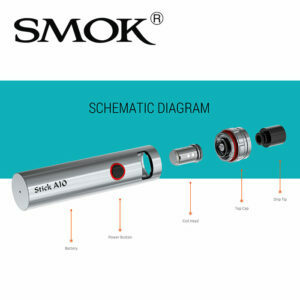 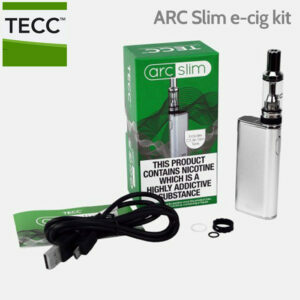 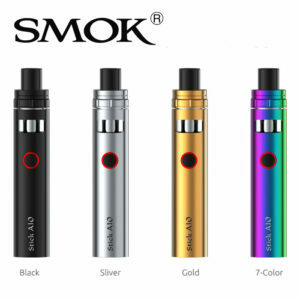 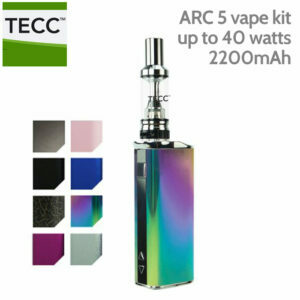 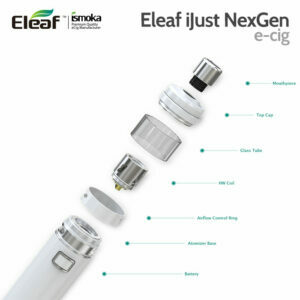 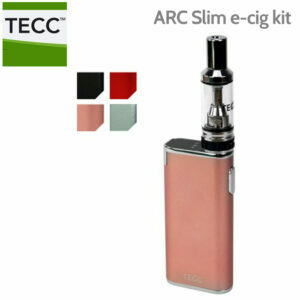 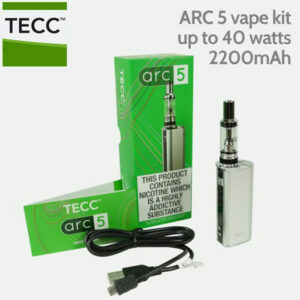 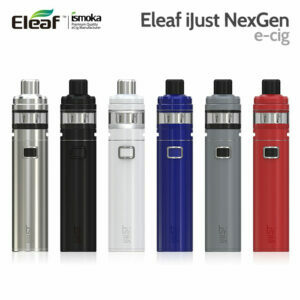 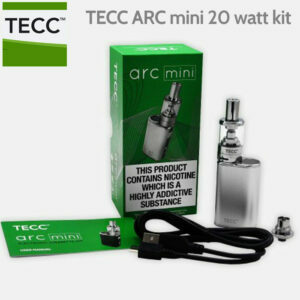 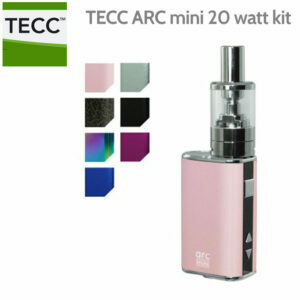 With a 1800mAh integrated battery, the TECC Arc Slim e-cig kit is their most slender Arc device yet.